The 30th Olympiad took place in Great Britain during the summer of 2012. It was hailed as a huge success by those that organised it, those that took part in it, and those lucky enough to have tickets to see the action unfold. Legends of athletics, cycling, rowing, gymnastics, swimming, basketball and so many other sports solidified their presence in the historical fabric of the Olympic games. All the while, new stars were emerging to inspire the next generation. Certainly, London 2012 was host to a magnificent feast of competitive sport that has surely inspired many to take up new sporting ventures. The courage, determination and passion exhibited by these great athletes showed that you can achieve anything if you work hard enough at it. It is a lesson for anyone, in any walk of life. Some times our goals might be beyond us but the journey to get there is all about living life to the full. Like Mo Farah said after becoming a double-winning goal medallist, it’s all about “grafting”. If you keep going, overcoming the obstacles that clutter the way, you never know what might happen. It is these traits that make films about sport so appealing. These themes transcend the “game” to endear the films to those who may have no interest in sport. Think of Field of Dreams, a film as much about baseball as it is about the human spirit, yet anyone, with no knowledge or interest in the likes of famed baseball teams New York Yankees or the Los Angeles Dodgers, can enjoy it. 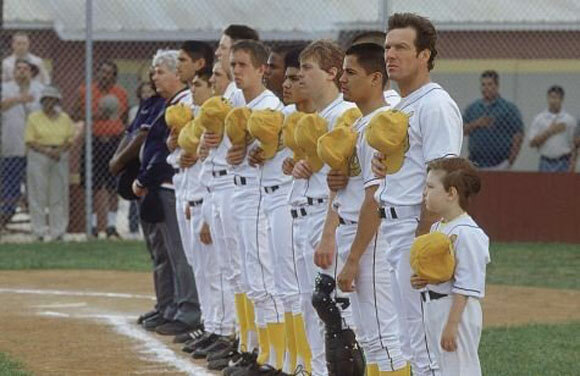 Kevin Costner made a career out of these baseball-related films that used the game as a backdrop for a very human story. Bull Durham had a little coming of age about it while For the Love of the Game was very romantic. Sport, and sports movies, can inspire. 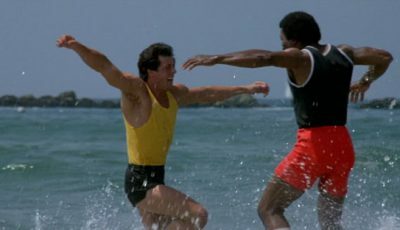 Now that the Olympic Games of 2012 has come to an end, I’m looking at the most inspiring sporting films. These films evoke the best aspects of sporting achievement both on the field and off it. What are your favourite sports films? 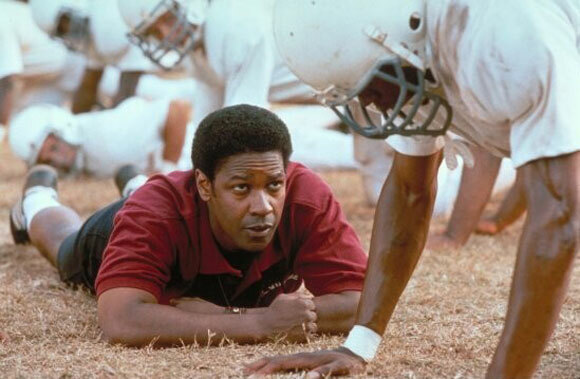 Showing how the power of sport, particular its ability to bring togetherness and a common goal in a situation where otherwise it couldn’t be achieved, Remember the Titans is undoubtedly an inspiring sports film. Based on true events, it also looks at racial tension in a recently desegregated Virginia high school during the early 1970s and how the football team encourages a disparate group of young adults to overcome their differences. 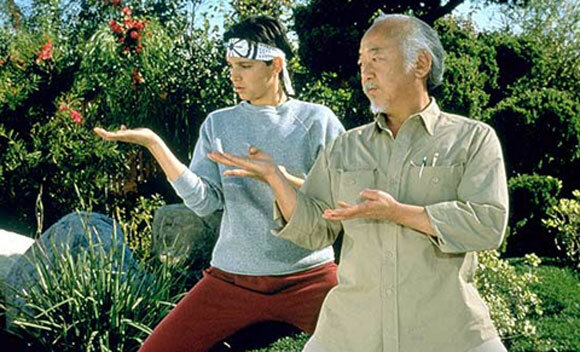 The Karate Kid is a coming of age story about a high school student who aims to overcome the bullies who torment him by competing in a local karate tournament. It exhibits the virtues of working hard to achieve your goals with a truly inspirational conclusion. Proving that you’re never too old to try, this based-on-fact story about a thirty-five-year-old high school baseball coach who realises a dream to play in the Major Leagues is hugely inspirational. Dennis Quaid portrays real life retired baseball pitcher Jim Morris who promises his high school baseball team he will try out for the Major Leagues if they win their division, something they hadn’t done before. They achieve the impossible. Morris goes to a try-out and surprises the scouts with a 98-mile-per-hour fastball. He is signed to a minor league contract and rises through the ranks to pitch for Tampa Bay. 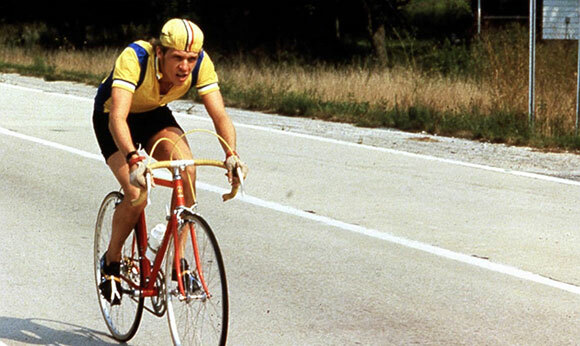 With its focus on cycling, Breaking Away immediately distinguishes itself from the bulging library of films about baseball, American Football and ice hockey. This coming of age story focuses on nineteen-year-old Dave, who is obsessed about competitive cycling and the world-beating Italian team. Burt Munro, a mild-mannered New Zealander sets off for America in the late 1950s to set the world land speed record on his trusty Indian Scout motorcycle. 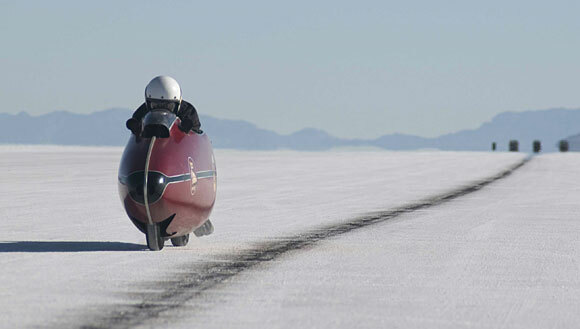 It’s a beautifully, life-enriching tale, with Munro meeting an assortment of larger-than-life characters on his journey to Utah’s Bonneville Salt Flats, the setting for his record attempt. 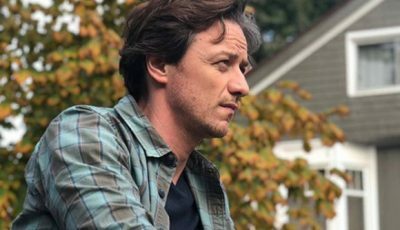 It is a film brimming with joy and optimism, wonderfully uplifting comic moments and an ending to make your heart melt. This exceptional American Football drama about a high school football team from the Texas city of Odessa is a pure blood and guts exploration of small town devotion to the team that represents them. What is so powerfully enriching is the fact these young men – only seventeen years of age – have to take on such responsibility on their run to the state championship. This fact-based film about two British athletes competing at the 1924 Olympic Games is inspiring in its depiction of two men who rise above adversity, and prejudice, to achieve their dreams. Capturing the difficulties and the sacrifices made by those who dream of doing more with their lives, Steve James’ documentary film about William Gates and Arthur Agee after being recruited by an NBA scout is less about winning, more about triumphing in the smaller battles life throws at us. 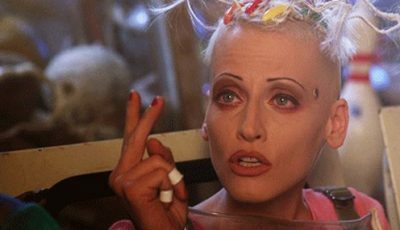 In any film had the potential to inspire, it is this one. Who said sport was just a game? 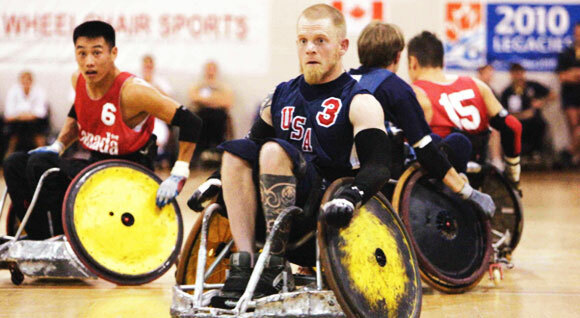 Murderball, a feature-length documentary focusing on the quadriplegic athletes who play wheelchair rugby, is a difficult film to watch for obvious reasons. We are introduced to an assortment of disabled athletes leading up to the 2004 Paralympic Games, the filmmakers featuring the tensions evident in the rivalry between the teams of Canada and the USA. The film is both a heartwarming depiction of the courage and determination of these men to live their lives to the full despite their affliction, as well as a gritty and straightforward look at the effects of quadriplegia. There are few sports movies with the emotional resonance of Murderball, and even fewer as inspirational. 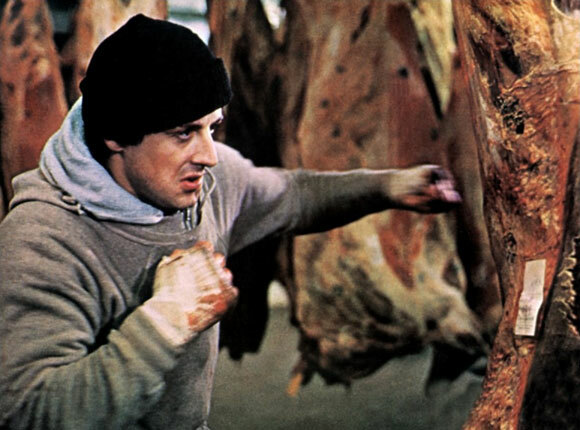 The most inspiring sports movie ever made has to be Sylvester Stallone’s 1976 classic Rocky. This tale of an amateur boxer who surprisingly gets a shot at the World Heavyweight boxing title is all about the underdog overcoming adversity to achieve more than he could ever have dreamed of. 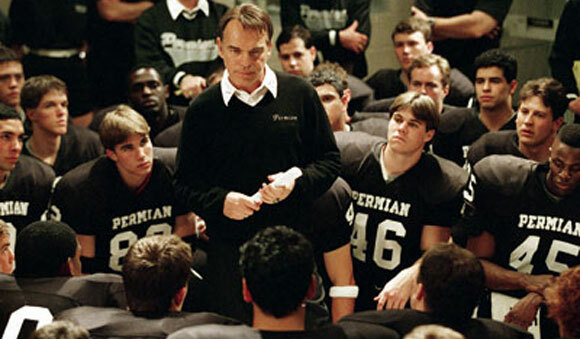 Your turn – what are your favourite sports films? Just thought I’d put that one out there …. Speaking of the lug, what about Escape to Victory? Hell, they beat the Nazis. Then there’s The Longest Yard, when they beat the prison guards. Meanwhile, in Knute Rockne, some vague coughing illness beat Dutch. @Mark: Do you share Canby’s sentiments Mark? I’m a sentimentalist at heart when it comes to these sorts of movies. 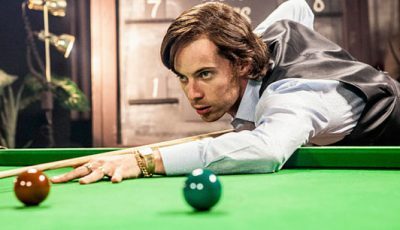 True, some films are far too sugary, but with sports films I’ve come to expect it. That said, The Blind Side was sentimental in the extreme and I still enjoyed it while Murderball has no sugary sweetness to it and yet was truly inspiring. So many I haven’t seen here but my colleague just happened to be talking about The Rookie and she might lend me her dvd. 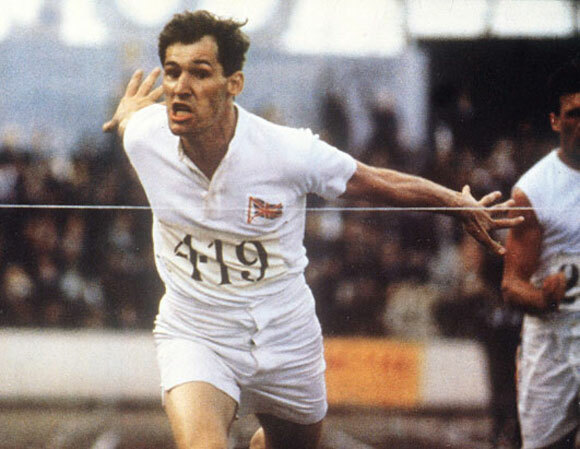 Chariots of Fire is such a great, inspiring film. 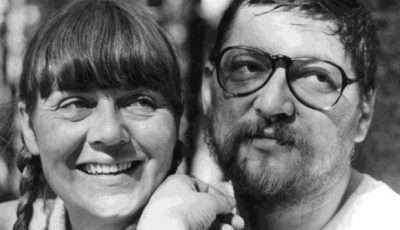 A rare film that tackles the issue of faith (Christian faith especially) in a positive light. I must admit, that apart from the big ones in this list I really haven’t seen that many. Not really a SPORTS type of guy… A worthy addition would be Warrior no? @Scott: Yeah, Warrior would be a great addition. Especially with that ending and the use of The National song. Yeah, I pretty much agree with Canby on that one, and a lot of other things for that matter, although I can see why Bertolucci got pissed with him back in the late 1970s (the Italian director more or less bagged the critic in Cine Easte because he got a scathing review for Luna – the point he made was that maybe the NYT had too much political sway and perhaps it was not culturally sensitive enough and misunderstood stuff of a foreign nature … Canby’s response was something like: “I can’t help it – Luna is a dog” – another sentiment I agree with; on that point maybe Bertolucci forgot that VC did give Last Tango a rave review – and rightly so – when it was released). Mark Kermode would no doubt also have issues with the late critic as he absolutely slammed The Exorcist upon release. He also gave Friedkin’s Sorcerer a bad review when it came out in 1977 (I, on the other hand, loved it) – what was interesting in that instance was the distributor took VC’s “advice” and chopped it around a bit/rearranged it for the international audience. We didn’t see a print of the original until 2002 when Friedkin himself came out here on tour and showed it in Sydney and Melbourne. In regards to sports films you pretty much summed it up with the word sentimental (the only ones I can think of at the moment that weren’t sentimental were Any Given Sunday and Le Mans). Having said that, I liked the football match near the end of MASH and, for most part, I didn’t mind Million Dollar Baby (although, I gotta say, only Clint could sentimentalise euthanasia). You rightly have Chariots of Fire in the list – I sorta have a grudge against it coz I think Reds should’ve got best film in 1981. Of course that observation is purely subjective and possibly sentimental . Maybe I’ll watch it again some day and change my mind. I’m not sure Hoop Dreams is too hopeful. But it’s a great doc. 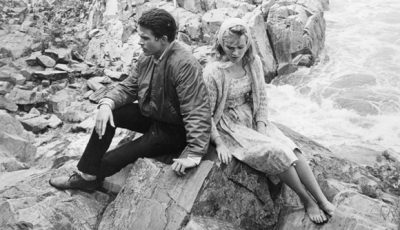 A great list of films. I actually had Arthur Agee as one of my coaches in basketball camp growing up. Great guy and who had to fight a lot of adversity. 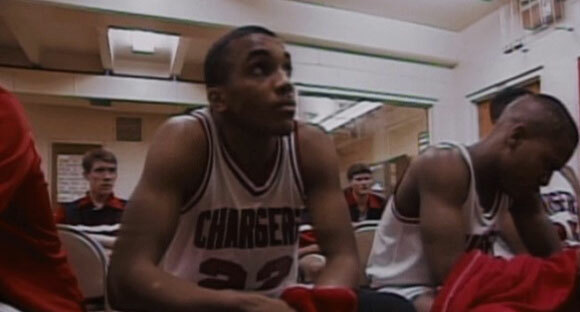 Forgot what a great documentary Hoop Dreams was until I re-watched it last year. Some of my favorites sports films didn’t make the cut and a lot are from my childhood: The Mighty Ducks, The Sandlot, Little Giants, Miracle, Slap Shot, (I like hockey haha), Passing Glory, Hoosiers, The Program, Blue Chips, He Got Game, and The Replacements to name just a few. I’m sure there are more I’m forgetting. Seen them all except Worlds fastest Indian and Murderball but agree with the list wholeheartedly. I wish there were a few Indian films in that list. One of them called Iqbal comes to mind about a mute boy with a dream to enter the country’s cricket team. Nice list.